just came across an interesting article from Bloomberg on NICE and the discounts offered by manufacturers to pass the cost-effectiveness criterion of the HTA agency in order to get recommended for reimbursement in the UK market. Of course the confidential discounts offered are nothing new, perhaps the magnitude is surprising to some people not so familiar with the situation. My guess is the higher figures are related to the recent melanoma drugs. In any case I wonder if such articles trigger the desire by some governments of knowing the net prices again, especially those heavily relying on external price referencing. Interesting also some views from Sir Michael Rawlings on VBP. I am not surprised that he doesn't expect too much difference. There has been a lot of talk about a VBP system, I also have done advisory boards in the past to understand the academic views and theoretical possibilities, but let's face it in order to practically operationalize such a system there are only a limited number of opportunities on the methodological side of things. I guess we are to find out soon what they have come up with. Patient Access Schemes are complex ways to handle issues around "lack of cost-effectiveness". They are bureaucratic, risky and frustrating to "some of our customers", the physicians and pharmacists. 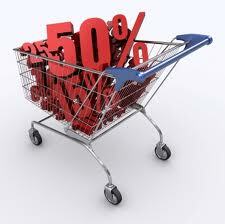 Discounts are pragmatic, straightforward and easy to administer. This will work for as long as secrets are kept secret! But as you point out, payers using external price referencing can't be fooled forever. When they wake up (and some do), discounting will have to be replaced by right-pricing, which is one-way only: downwards!